Liverpool Under-18 starlet Bobby Duncan sent a hilarious reply to Chelsea’s official Twitter account after the Reds’ sensational win on Sunday. Mohamed Salah followed up Sadio Mane’s headed goal with a superb strike two minutes later. 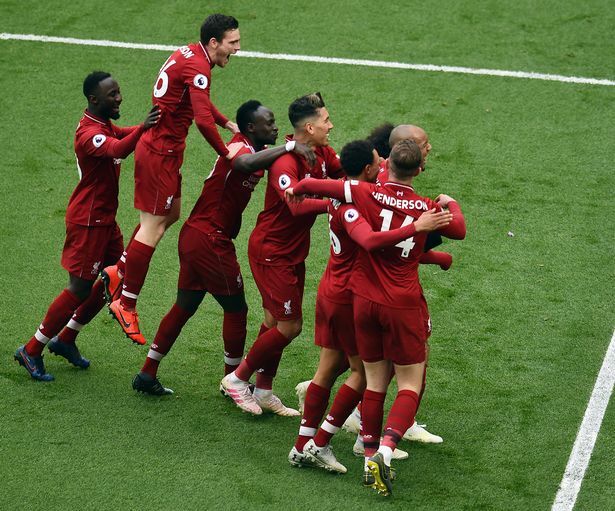 The goal put the tie out of reach for the Egyptian winger’s former club as Liverpool ran out 2-0 winners. Earlier in the day the Londoners Twitter account sent a tweet showing Steven Gerrard’s infamous slip in the fixture from April 2014. After Jurgen Klopp’s side won, Duncan – who is Gerrard’s cousin – retweeted the post with the witty caption: “Safe trip back to London”. The tweet has proved a viral hit among Reds supporters, receiving over 10,000 and 45,000 likes within 15 hours of the upload. Kop icon Luis Garcia also trolled Maurizio Sarri’s club in a tweet on Sunday morning. Did someone say Liverpool vs Chelsea ?